Robert De Niro in drag? Now that would be a sight to behold, although not one I actually want to consider. Thankfully, this isn't the case, we'll make do with Phillip Seymour Hoffman instead, but in direct confrontation with our Bobby. Not the kind of confrontation you might be thinking of though, this is more from the school of cantankerous old git versus flamboyant transsexual, which is an intriguing start. 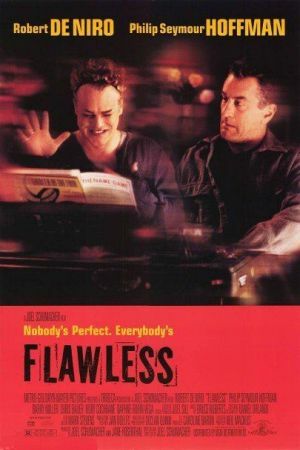 In the surprise of the year, Joel Schumacher (on a double whammy of excrement following 'Batman and Robin' and '8mm'…shiver) delivers a small-scale comedy drama that proves to be a moving little tale thanks mainly to its savvy casting. However, it is Hollywood's best kept secret, Hoffman, producing another amazing turn, here giving us both raw and touching in one brilliant swoop. The story is predictable and Schumacher doesn't bother with the word 'original', nevertheless he succeeds in creating a bizarre but heartfelt film, and the most off beat crowd pleaser you'll probably see this year.